In the event of packet loss, streaming may have to resume via a different link. If in any doubt, go directly to Basketball Ireland's YouTube Channel to access the latest live event. Please note that due to current YouTube licensing restrictions, the Men's and Women's National Cup finals may be muted due to copyright of music content. 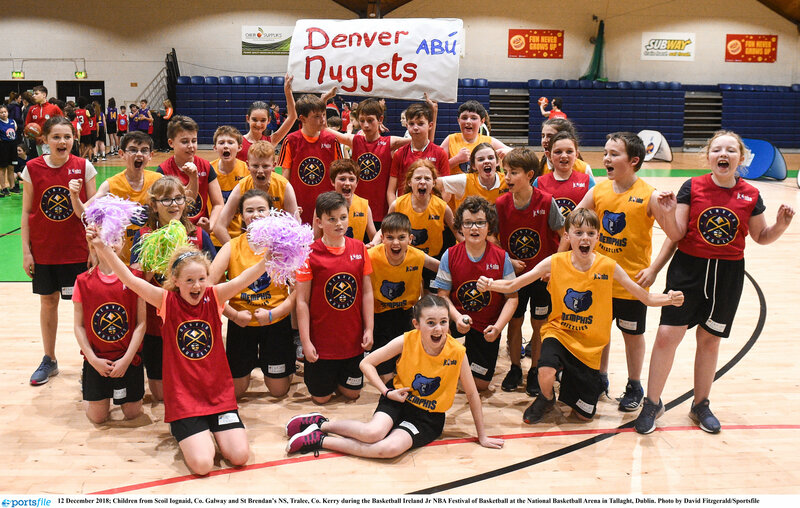 Team Montenotte Hotel cemented their place in Irish basketball history with a record sixth Hula Hoops Womenâs National Cup win at the National Basketball Arena. 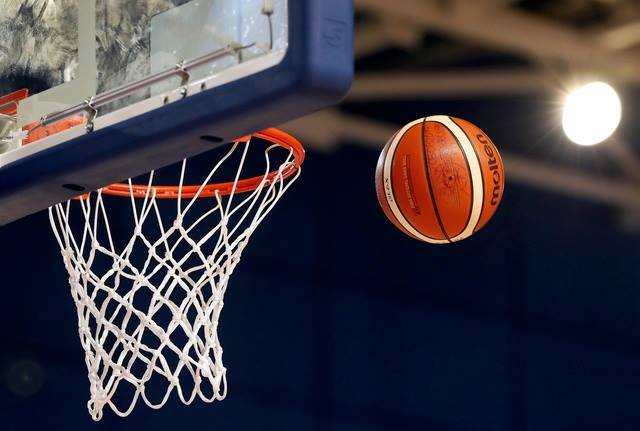 The Glanmire club completed a second three-in-a-row by beating Pyrobel Killester 96-64 in a one-sided affair. Killester had lost none of the grace or steel that has seen them fight for silverware on two fronts this season. They were simply overpowered by a side peaking when it mattered most. Aine McKenna was the big gun and revelled in her captainâs role. The MVP had 10 points in four minutes and the Glanmire club still had time for a 12-0 run, becoming just the second side of the Hula Hoops National Cup weekend to hit a 30 point quarter. Claire Rockall was also firing on all cylinders. The Galway women was marauding down the court after an injury hampered 2015 finale. The one player who brought Killesterâs form into the first half was Rae Contreras. While the robust defending of Casey Grace was keeping others at bay, the American was pouring in points at will. Killester Coach Karl Kilbride gave his bench the opportunity to get to grips and put three U20 Womenâs Cup Champions on the floor. Aoibheann Byrne and Aisling McCann rewarded his faith with baskets as Killester managed a considerable 20-point quarter. The only problem was that Glanmire repeated their first quarter trick and put up another 31 points. One by one they stepped up to hit their shots. Marie Breen hit a pair and Chantell Alford refused to miss. Theyâd hit the half-century in 17 minutes of basketball, shooting at 67% on both sides of the three-point line. 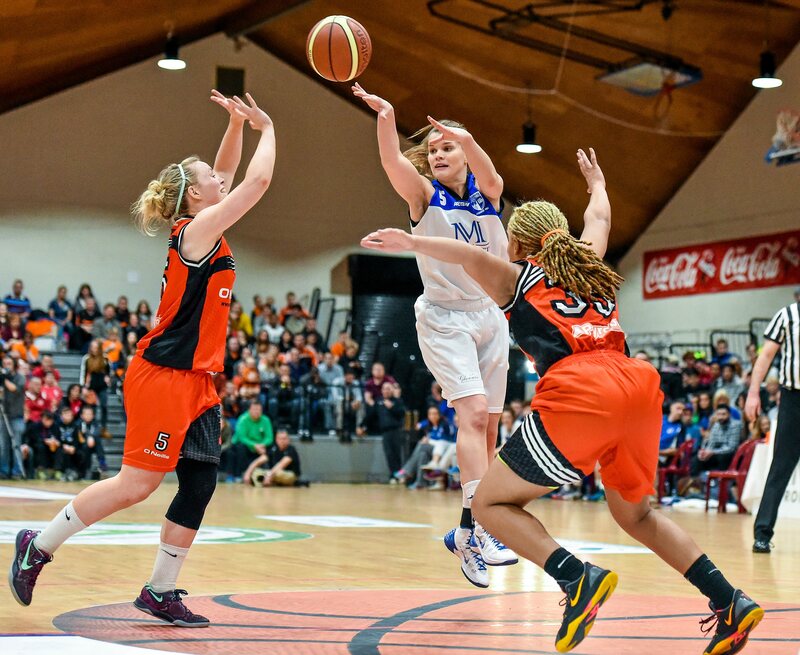 When the sides met in the 2015 decider, Team Montenotte Hotel won 62-36 on the back of a one-point lead at half time. This time around, they were already 62-34 clear at the break. In 32 years of National Cup basketball, only two womenâs clubs have scored 80 points or more in 40 minutes. In 1991, Blarney beat Snowcream Wildcats 86-56 and were back at the Arena as part of their 25 year jubilee celebrations. Glanmireâs first National Cup win was courtesy of an 89-75 win over UL Aughinish. Marie Breen scored 29 points that day in 2007 and had a double-double in 2016. A pure winner. Pyrobel Killester: Raeshel Contreras 35, Aisling Sullivan 7, Aoibheann Byrne 4, Rebecca Nagle 7, Anna Pupin 2. Substitutes: Ali Maguire 5, Michelle Clarke, Ally McGrath, Aisling McCann 3, Aine McDonnell 1, Emma Sherwood, Alex Troy. NUIG Mystics marched to glory in this afternoonâs Hula Hoops Senior Womenâs National Cup final, as they dominated proceedings from beginning to end to take home a 27-point victory over Oblate Dynamos. "I'm absolutely thrilled, they deserve it they worked very hard. Iâm so happy, and Iâm happy for the girls," said NUIG Mysticâs Head Coach, Mike Murray. âI think Oblate are a great team, we were scared of them coming in so it was great to get the win, I feel great!" A well-drilled and skilful NUIG had the game firmly in control from the off, taking a 15-0 run early in the first quarter, and had opened up a 20 point lead after just eleven minutes thanks to fantastic shooting from Siobhan Kilkenny, Michelle Fahy and Marritta Gilcrease. Oblate for their part never gave up, and solid performances from Katie Black, Katie Moloney and Shannon Farrell saw them sneak through for scores in the second quarter, but at that stage, Mystics had already built up a considerable lead and waltzed into the dressing room with a 42-19 cushion at half-time. The third quarter continued in much the same way as the previous two, with Ailish OâReilly driving Mystics forward from the point while also bagging some great steals, and Gilcrease was really invaluable under the boards. At the other end, Oblate kept pushing though, with Heather Meagher, Black and Farrell all adding to their sideâs tally. The result was never in any doubt though and as the game ticked into the final quarter and âThe Fields of Athenryâ began to ring out around the Arena, Mystics showed their worth with Kilkenny, Deirdre OâShea, Hannah Coen and OâReilly all working hard and, but for some superb defending from Jasmine Wonik and Black for Oblate, could have been a lot further in front at the final buzzer. NUIG Mystics: Ailish OâReilly, Michelle Fahy, Siobhan Kilkenny, Lauren Murray, Marritta Gilcrease. Substitutes: Deirdre OâShea, Emer Smyth, Catherine Connaire, Leah Cunningham, Rebecca Hansberry, Hannah Coen, Suzanne McDonagh. Oblate Dynamos: Georgina McKenna, Katie Black, Samantha Massey, Katie Moloney, Heather Meagher. Substitutes: Shannon Whelan, Jasmine Wonik, Alison Keech, Aileen Crowley, Selina McMahon, Shannon Farrell, Sarah Staunton.